For more information, visit http://www.michigantechrecreation.com/programs/youth/hockey/index. Sand & Sun… Summer Fitness has Begun! This high-powered workout uses kettlebells, TRX suspension training, resistance bands, and body weight. Bootcamp is open to all fitness level participants and will push you through a fast and effective mix of strength, conditioning and core training. Burn fat, build stamina and sculpt your body! Summer Session #2 Starts July 8. 7-week program. Tuesday/Thursday, 6:00-6:50am. SDC Studio. Session $84. Register online here. For more information on Community Programs and everything Michigan Tech Recreation, find us on Facebook and visit us online at michigantechrecreation.com. 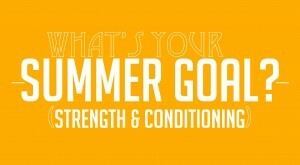 Reach Your Summer Goals with Personal Training @ Michigan Tech Rec! Whether you’re training for that next marathon, looking to change up your workout or just trying to get in shape, working with a trainer is one of the fastest and most successful ways to improve your health. Michigan Tech’s personal training services focus on customized health and exercise programs to help you achieve your lifestyle and fitness goals. For more information, visit http://www.michigantechrecreation.com/programs/adult/training/index. Ready, Set, Summer! With fun music and traditional aquatic fitness disciplines, Aqua Zumba is your go-to summer workout. COMMIT TO BE FIT with Michigan Tech Recreation. Love Zumba? Love the water? Blend it all together into a workout that’s mixed with cardio, body toning, and is most of all exhilarating. Aqua Zumba classes are held Tuesdays and Thursdays at 6:15pm in the SDC Pool. Did you know? Michigan Tech employees who are TechFit benefit eligible can use some of their $150 (and $100 for dependents) TechFit dollars for Summer programming. Join anytime and COMMIT TO BE FIT with an 8-punch class card OR try us out for a single session for only $6! For awesome deals, event announcements and more, connect with Michigan Tech Recreation on Facebook and michigantechrecreation.com. Players register individually, but teams will be organized by the high school they attend. Teams will have a minimum of 12 players and a max of 17. A league champ will be named based on points earned & the winning team will get individual prizes. Games will consist of (2) 20-minute periods with a 5 minute warm-up. Players have the opportunity to continue working on theirhockey skills on a year-round basis while having fun. Our summer hockey league provides the extra time needed to improve those skills. Unsportsmanlike conduct and unnecessary rough play are prohibited. No checking. Each player receives a team jersey to keep. Each team will have a coach on the bench for all games. Referees and scorekeepers will be present at each scrimmage. Register online or call the SDC Ticket Office at 487-2073. Payment must accompany registration. Registration is not complete until a release waiver is signed by a parent/guardian and turned into the Ticket Office. All protective equipment must be worn. Locker rooms will be available. Michigan Tech is not responsible for lost or stolen items. For more information and questions, contact Tony Stromer, league coordinator, at 906-487-2975 or adstrome@mtu.edu. The John MacInnes Ice Arena has summer ice available for rent. This summer get a group of skaters or hockey players together and enjoy time on the ice! Summer rentals start Saturday, June 28 and you can rent weekly or just once. For $160 you get 50 minutes on a clean sheet of ice along with locker rooms. Click here to see the ice schedule. This clinic will ensure development of general strength as well as progression into football position exercises – strengthen cutting and jumping ability. Sessions will cover all muscle groups and safe techniques while at the same time pushing you to get ready for your fall season. Clinic held on Sherman Field and the Varsity Weight room at the SDC. 7-week session, June 16 – August 1, 6:00-8:00pm, three-four times per week. $250/person. Register today at the SDC Ticket Office or 487-2073. More Summer Recreation Activities @ the SDC! Open Skating – Thursdays, 5-5:50pm, July 3 – August 28 (no 8/7). $2/day. Open Swimming & Multipurpose Room Use – see here for summer schedule. $6/day. The SDC pool will be open for adult lap swim Monday-Friday from 1:30-2:30PM starting on Monday, June 9 through Friday, August 22. This new hour will be for adults only. The pool will also remain open from Noon-1:30PM for open swim with lap lanes available. Indoor Training for your Outdoor Activities! Spin through warm-ups, sprints, climbs, cool-downs, and more, with plenty of encouragement and upbeat music. You control your bike’s resistance, so pedaling is as easy or difficult as you choose. Schedule Variety and Intensity Options. Rev it up and burn some calories fast in the 40 minute Spin Express on Tuesdays and Thursdays at 12noon. Evening Power Pedal is held on Tuesdays @ 6:15pm or join us on Saturdays at 8am for Rise and Spin. Michigan Tech employees who are TechFit benefit eligible can use some of their $150 (and $100 for dependents) for Summer programming. Join anytime and COMMIT TO BE FIT with an 8-punch class card OR try us out for a single session for only $6.